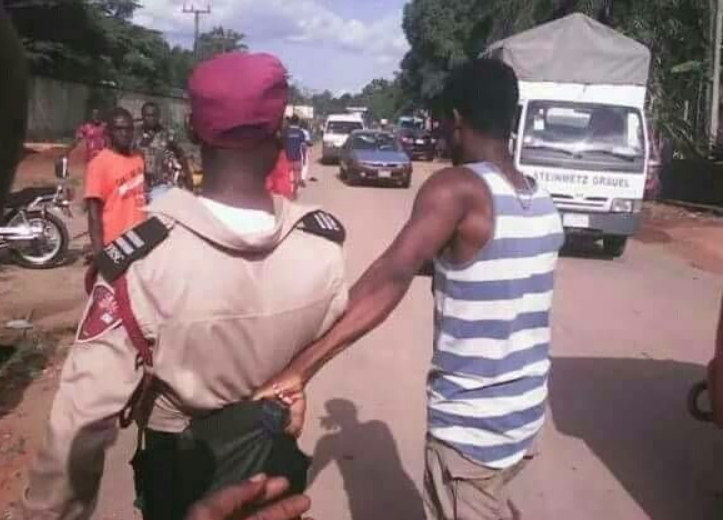 An official of the Federal Road Safety Commission who allegedly caused an accident while demanding for bribe has been arrested. According to social media sources, this happened in Abakaliki Ebonyi state. One day bush meat go catch the hunter #kikiki. Sign of a failed state, citizens are now the ones enforcing law and order. Nigeria is dead. That’s to say, no one is above the law. That’s to say, no one is above the law…….